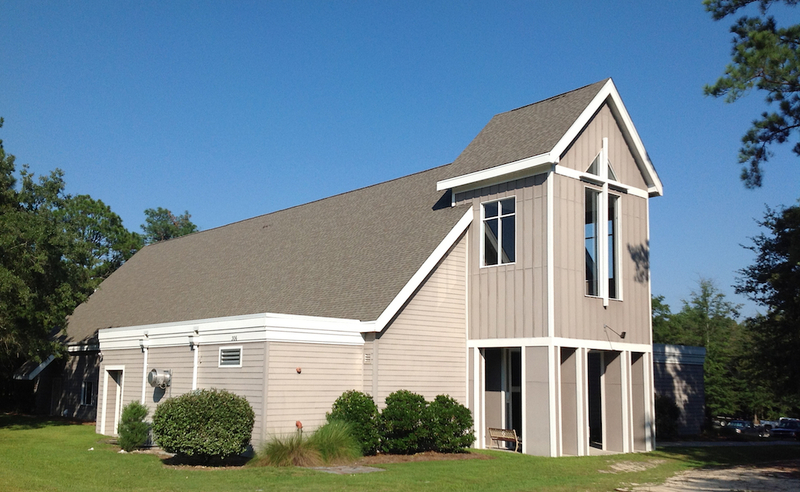 Transfiguration was established in 1998 to minister to the needs of the growing population in northeast Columbia. At first, we celebrated Mass in temporary locations such as the auditorium of Blythewood Academy. In 2004, with the support of about eighty families, we made a leap of faith and built our current sanctuary. Built as a temporary worship space, the Parish Life Center (or "PLC") seats three hundred and will one day serve exclusively for our social events, once our larger, permanent church is built. Because of our small roots, we are a warm, welcoming community. Even though we are on the small side for a Catholic parish (about three hundred registered families), we have a high level of parishioner involvement and we offer a lot of ways for you to get involved and get to know others. Please check out our ministry pages to see some of the activities you may be able to participate in or help with. When we love Jesus, we want to share his joy with others. Transfiguration devotes a lot of resources to sharing the Catholic Christian faith in our area through monthly faith ads in the local Blythewood and Ft. Jackson newspapers. The ads attempt to share some of the beautiful treasures of our Catholic faith with our community, as well as dispell some of the misconceptions held by many of our non-Catholic brothers and sisters. (See our past ads here.) We have also done a special Lenten outreach over the past two years, working together as a parish to distribute information about our faith to over twelve thousand homes in Northeast Columbia. Being at Transfiguration is exciting, like being at a great city as it is first being founded! We are a growing parish, full of young families and children. We added the 8:00am Sunday Mass during Lent of 2012, expanding to three weekend Masses. We have pulled together over the past two years to finish paying off the debt on our Parish Life Center, which will allow us to focus on future needs. In the near future, we will need to build a larger sanctuary to accommodate our growing parish family, as well as classrooms for our growing religious education program. But more than buildings or numbers, our biggest priority is to help each parishioner and family grow in their love for Christ.